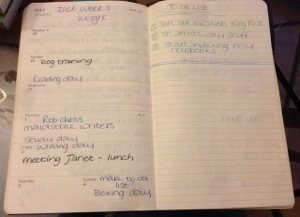 This entry was tagged 10 Day Writing Blogger Challenge, Boxing Day, Faber, Goals, To Do List, Writer, Writer Resources, Writers Resources, Writing, Writing Goals. Bookmark the permalink. Whoa, you really seem to be on top of things this week. Congratulations on your son’s graduation, I’ll bet you were so proud of him. So you’ve got a Boxing Day this week. I swear Christmas comes round sooner every year but my daughter says it’s my age and imagination. Ha ha ha, oh, you don’t know about my Boxing Days? Have enjoyed the writing blogger challenge posts. You have quite a full week. Hope you have a good Boxing Day. My writing plans are small. I’m still working on mainly fun writing to keep myself motivated, both to keep writing and keep from being depressed. I do have a few pieces I’m trying to polish up, so I can send out.